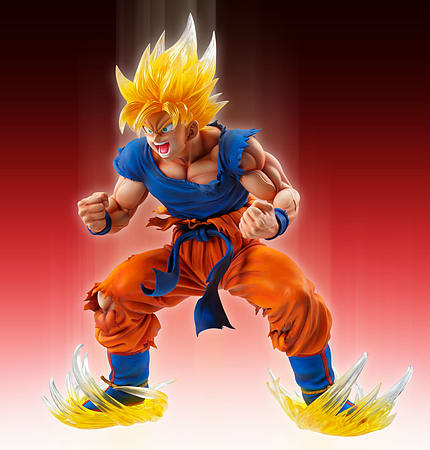 From Medicos Entertainment's Super Figure Art Collection comes Super Saiyan Goku! 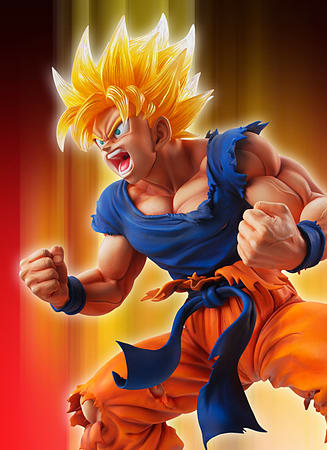 From Medicos Entertainment's Super Figure Art Collection comes Super Saiyan Goku! 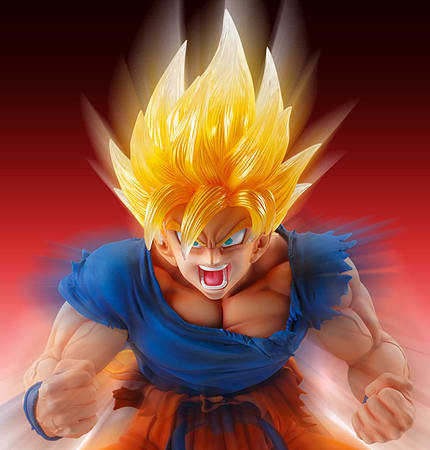 Based on Volume 22 of the original manga, this insanely detailed 9 inch (230mm) tall figure shows Goku charging up his Ki as he battles Freeza. 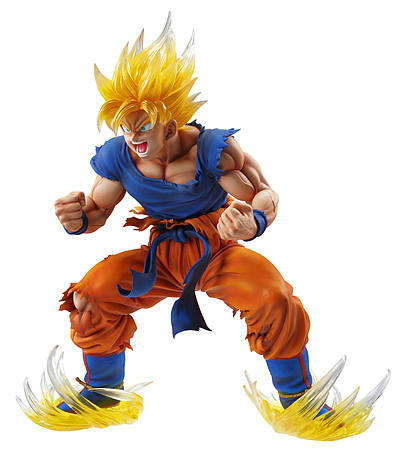 This figure features a unique fading see-through effect on Goku's hair and the effects near his feet. 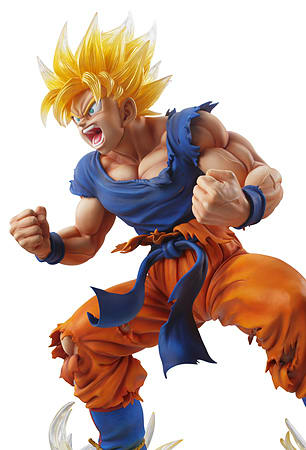 The level of detail on this model really is impressive, from the lines of Goku's hair down to the expression of his massive muscles!